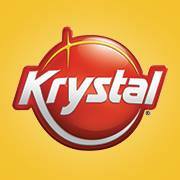 ATLANTA, GA –It is Krystal’s® 84th birthday, but it’s giving all the presents away to its guests this year with big-time values, free food and a chance to win a free car. This year’s Birthday Celebration offers everything from free coupons on Krystals and multi-packs of 24 Krystals to a grand prize giveaway of a Kia Soul – a stylish square-shaped ride. To win the grand prize, guests will need to visit their favorite local Krystal restaurant location on Wednesday, October 12 to receive a secret SMS code word* that can earn each person an entry in the Birthday Car prize drawing. One lucky fan will win their own Kia Soul. Giveaways don’t stop there. Radio stations throughout the Southeast will be giving away prize packs and bloggers will be raffling off giveaways to delight guests! Additionally, on October 12 all classic original Krystals will be 50 cents, because nothing says “Happy Birthday, Krystal” like a special deal on everyone’s favorite square sandwich. The Coca-Cola Company is the world’s largest beverage company, refreshing consumers with more than 500 sparkling and still brands and more than 3,800 beverage choices. Led by Coca-Cola, one of the world’s most valuable and recognizable brands, our company’s portfolio features 20 billion-dollar brands, 18 of which are available in reduced-, low- or no-calorie options. Our billion-dollar brands include Diet Coke, Coca-Cola Zero, Fanta, Sprite, Dasani, vitaminwater, Powerade, Minute Maid, Simply, Del Valle, Georgia and Gold Peak. Through the world’s largest beverage distribution system, we are the No. 1 provider of both sparkling and still beverages. More than 1.9 billion servings of our beverages are enjoyed by consumers in more than 200 countries each day. With an enduring commitment to building sustainable communities, our company is focused on initiatives that reduce our environmental footprint, create a safe, inclusive work environment for our associates, and enhance the economic development of the communities where we operate. Together with our bottling partners, we rank among the world’s top 10 private employers with more than 700,000 system associates. For more information, visit Coca-Cola Journey at www.coca-colacompany.com, follow us on Twitter at twitter.com/CocaColaCo, visit our blog, Coca-Cola Unbottled, at www.coca-colablog.com or find us on LinkedIn at www.linkedin.com/company/the-coca-cola-company. I like Burger King because it tastes so good, and most stuff is cooked over an open flame. However, I try to avoid it as well, because it’s loaded with bad fats and loads of calories!